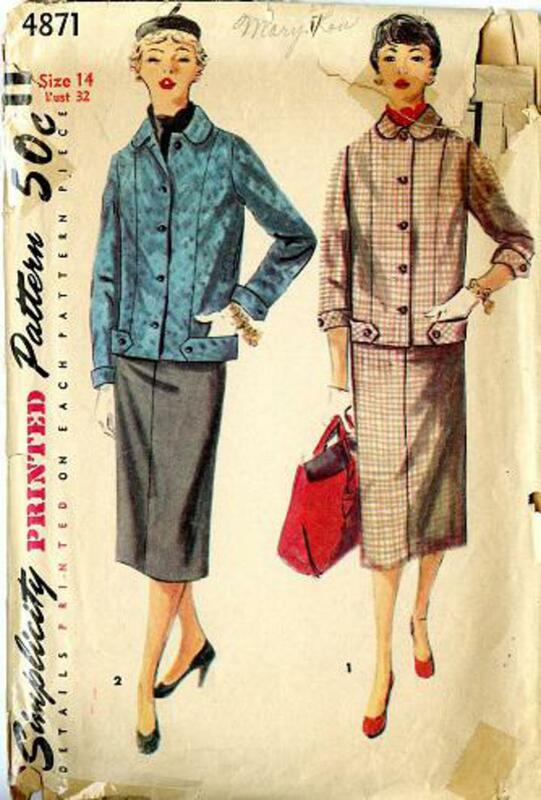 1954 Simplicity #4871 vintage sewing pattern, misses' two-piece suit, jacket and skirt, size 14. Easy-fitting jacket features band and button trim at lower side edges and on sleeves. Collar is rounded. Jacket buttons to neck. 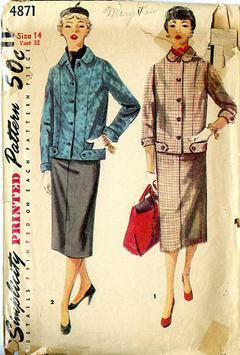 Slim skirt has a pleat at lower edge in back.